Rennie Bryant (at left) gives Tom Suddard some pointers on how to tune an old Triumph Spitfire. With the jets changed the timing adjusted correctly, the car ran great. 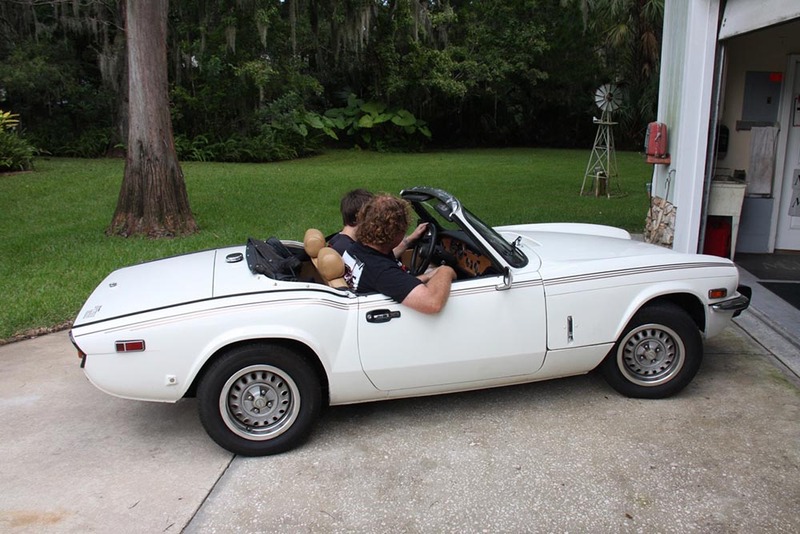 The good news is when we picked up our 1980 Triumph Spitfire from Automotive Restorations, it already had a nice single Weber side-draft carb conversion on it. The bad news is they hadn’t messed with the jetting. Happy Spitfire pilots. The car now runs great after a quick test drive. One thing our project Triumph Spitfire needed was a bit of tuning. 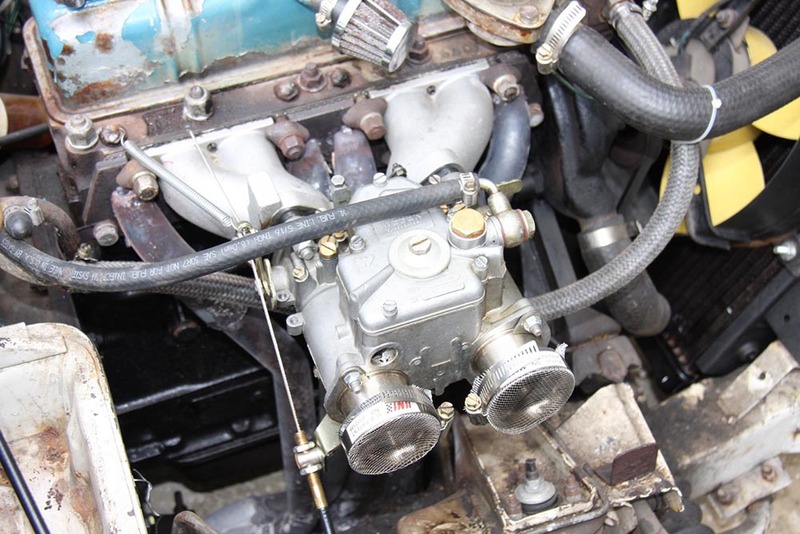 While an excellent Weber DCOE 45 single side-draft carburetor had been installed, it had not been tuned properly. The car was running very lean and this was hurting its drivability. Changes to the main and air correction jets solved this issue. The timing also had to be retarded a bit, as it had been bumped up to mask the lean fuel condition. The setup we ended up with was: 34mm chokes, 150 main jets, 155 air correction jets, and an F16 Emulsion tube. 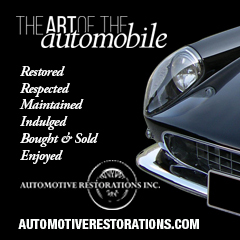 A quick test drive told us we had greatly improved not only power, but drivability as well. Until we could get to a dyno and accurately check our air/fuel ratio, this would have to do.